From then on go to the website of Animal Planet or use their app if supported. Please see supported devices between Animal Planet and Unlocator at the bottom of this page. Animal Planet is an American pay-TV channel owned by Discovery Inc. It mainly focuses on educationally-based television shows and is available throughout the United States, as well as in over 70 countries around the world. It’s the only channel that allows viewers to explore the animal kingdom by providing rich and informative content via multiple platforms. 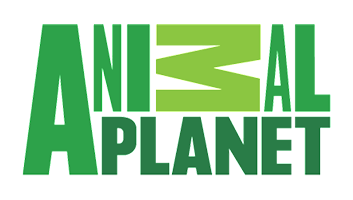 Animal Plant also offers animal lovers and pet owners access to a centralized online, television and mobile community for engaging, high-quality entertainment. The problem with watching Animal Planet is that it has only secured the rights for streaming to the US audience. So if you’re an American expat trying to access it from outside the United States, you will receive the following geolocation error: “We’re sorry, but this video is not available in your location”. If you’re an animal lover, you’d want that access to Animal Planet regardless of where you currently reside. Unfortunately, streaming Animal Planet’s content is only available from inside the US, which is why you’ll have to trick the website into thinking you are in the US in order to watch both live and on-demand content on it. Unlocator is a Smart DNS proxy service that allows you to bypass geoblocks and grants you access to the content you want. Sign up with Unlocator for free. Then, configure your streaming device using Unlocator DNS. That’s all there is to it. How to Watch Animal Planet from Anywhere in the World? Below is a list of devices you can unblock Animal Planet on with the help of Unlocator. Simply click on each device’s name to check its setup guide. After subscribing to Unlocator, you will be able to watch Animal Planet in the UK, Canada, Australia, and anywhere else overseas. Note that Unlocator doesn’t affect your Internet speed or your IP address. That means you can access your local websites while unblocking geo-blocked channels at the same time. Keep in mind that you still need an American cable subscription in order to sign into Animal Planet. Feel free to contact our support team for further instructions on how to set up Unlocator on your device.